It takes many people and companies to support the growth and development of the medically integrated fitness industry and its many facilities. These companies have recognized the groundbreaking and revolutionary approach to health and wellness represented by the Medical Fitness Association and have stepped in to support our growth. Our partners stand ready to assist you in the development of your center through building professional and long-lasting relationships to help ensure positive outcomes for your members. We hope you will utilize our partners to further your own success! If you are a potential Best Practice Partner, or want more information about our Best Practice Partner program, please contact our President & CEO, Bob Boone. 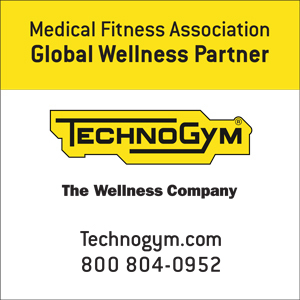 Founded in 1983, Technogym is a world leading international supplier of technology and design driven products and services in the Wellness and Fitness industry. Technogym provides a complete range of cardio, strength and functional equipment alongside a digital cloud-based platform allowing consumers to connect with their personal wellness experience anywhere, both on the equipment and via mobile when outdoors. With over 2,000 employees and 14 branches globally, Technogym is present in over 100 countries. More than 80,000 Wellness centers and 200,000 private homes in the world are equipped with Technogym. Technogym was the official supplier for the last seven editions of the Olympic Games: Sydney 2000, Athens 2004, Turin 2006, Beijing 2008, London 2012, Rio 2016 and PyeongChang 2018. Athletic Business is committed to empowering athletic, fitness, recreation and military leaders to elevate their facilities and enrich their programs. Individuals representing colleges and universities, high schools, parks and recreation departments, military branches and bases, health clubs, YMCAs, professional sports teams, stadiums and arenas, sports architecture firms, private sports and recreation facilities, hospital and corporate wellness centers and more rely on AB’s exceptional content to learn about emerging trends across the industry, and find the products and services they need to run profitable facilities and programs. At Athletic Business, we’re strong believers that meeting the right people at the right time makes great things happen. That’s why we’re proud to host AB Show, in addition to our print and digital content. From relevant, high-quality seminar topics and fun networking events to an expansive show floor containing all the products and services you need to be successful, AB Show (Nov. 13-16, 2019 in Orlando) is a must-attend event. Life Fitness began over 45 years ago with an idea, and a vision – Create a different kind of fitness equipment. Something that will engage and inspire exercisers to do more, to push themselves further. Out of this vision was born the world’s first electronic piece of fitness equipment, the LifeCycle Exercise Bike. Our long-standing commitment to thoughtful product development and partnership has resulted in the global leader in the commercial fitness industry with over 400 different products delivered to thousands of commercial and home fitness customers worldwide. Power Wellness is the nation’s largest medical fitness management company. Founded in 1996, we have managed over 50 fitness centers for healthcare systems, academic institutions, community foundations and senior living communities. Our team members and programs are focused on enhancing our clients’ brands, complementing their centers of excellence and proactively addressing chronic disease management and population health. Today, Power Wellness transparently manages a third of the MFA’s certified facilities and serves over 100,000 members, managing 5 million visits by our 2,300 team members nationwide. With eight strategic service lines, Power Wellness has the value-added resources to “help you succeed”. We maintain five strategies that are the core of our medically-based fitness operating model. Medical Fitness Association Certification – Power Wellness leads the industry in MFA certified managed centers. Integrated Technologies – Power Wellness has proprietary HIPAA compliant systems and technologies that digitally store and communicate Protected Health Information. General Membership Assessment – Power Wellness has a standardized assessment that effectively captures health data, communicates in a customer friendly metric, and facilitates a personalized prescriptive fitness program. Medically Integrated Programming – Power Wellness has trademarked standardized 8-week programs, Next StepsTM, that support chronic diseases and interventional procedures. Evidence Based Outcomes – Power Wellness utilizes health analytics to help each client understand their members’ aggregate health outcomes. Club Automation provides an innovative online SaaS solution that helps facilities streamline and automate a variety of both common & complex processes involved in running a health club. Club Automation’s fully integrated solution is designed for large health clubs with one or multiple locations. The Club Automation suite was designed from the ground up to help operators simplify their systems, streamline operations, engage members, empower staff members, reduce operating costs, grow revenues, and provide exceptional service to their members. Cooper Wellness Strategies is an affiliate company of Cooper Aerobics in Dallas, TX founded in 1970 by Kenneth H. Cooper, MD, MPH. 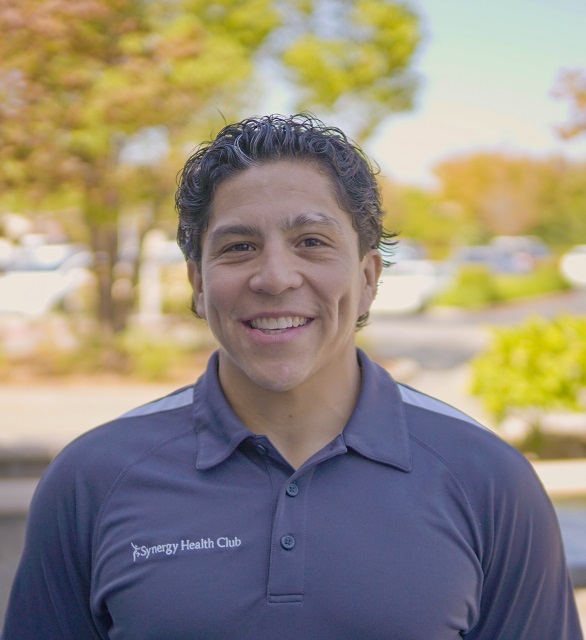 Cooper Wellness Strategies integrated its services with Meritage Healthcare Strategies in May, 2018 and together provide a complete suite of services including project concept development, feasibility analyses, strategic planning, business performance improvement consulting, leadership training and education, wellness programming and fitness facility management for corporate, commercial, residential development and health care organizations. For more information visit us at www.cooperwellnessstrategies.com. EXOS is a leader in the field of human performance, a category it created more than 15 years ago. Today, EXOS employs more than 3,500 people in over 400 locations worldwide. With award-winning facilities, technology, and services, EXOS connects people and organizations to the solutions they need and provides individualized plans based on time-tested fundamentals and research in order to help people take control of their health and performance. EXOS is trusted by hundreds of clients, including world champions in sports and one-quarter of Fortune 100 companies, as well as leaders in health care, medical wellness, military, and community organizations. To learn more, visit www.teamexos.com. HNT provides comprehensive training, nutrition and support to help people achieve and maintain a healthy weight. 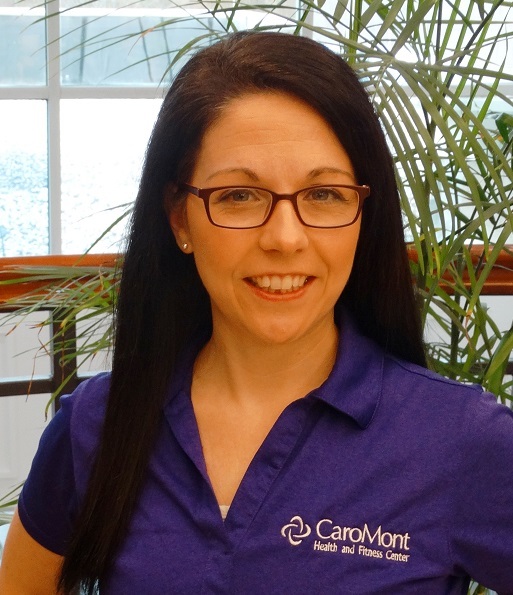 We take a balanced approach to weight loss by applying evidence-based practices. Our focus is on long-term success: we strive to keep participants engaged over time. Learn how to end the cycle of dieting and achieve long term success through a partnership with HNT. Our approach isn’t one size fits all and hope it works wellness, but to provide our clients with solutions that have already been validated and proven to work. 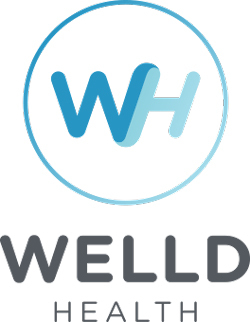 HealthWell Solutions (HWS) provides evidence-based health solutions for effective disease prevention, risk identification, and health and wellness management in corporate, healthcare, and retail settings. The US healthcare system is evolving from fee-for-services to value based design. Prevention and care coordination with help manage medical costs which continue to rise at an unsustainable pace. Compelled to find solutions to stave off these destructive trends HWS was established to address the growing need for evidence-based prevention solutions, wellness products, and services for Employers, Insurance Brokers, Healthcare Organizations, and Retailers within the Health Promotion industry interested in implementing proven solutions to drive positive outcomes and ROI. With an extensive background in biometric screenings, second-generation predictive modeling health risk assessments, nutrition solutions, motivational health coaching, telemedicine, and wellness platforms, HWS can create an effective, comprehensive health and wellness program enabling you to succeed in improving your population’s health and reducing costs. Healthy Learning is one of the world’s foremost publishers of instructional materials for health/wellness, fitness, exercise, sports medicine, and camp professionals. Founded in 1997, Healthy Learning offers a content library of over 3,500 titles that feature several of the most respected individuals in their area of expertise. The underlying mission of Healthy Learning is to provide individuals with the information and resources that they need to address the needs, concerns, and interests of those that they serve. Jonas Fitness has grown to be the leader in Enterprise Facility Management and Billing software, and has long been the trusted partner of the largest and most successful operators in the industry. We are a true technology partner that provides the Health, Fitness and Wellness industry a stable, secure, and scalable enterprise solution, and a best in class team to help your business succeed in this extremely competitive market. With over 30 years of industry experience, we specialize in building long lasting partnerships with multi-purpose Health and Fitness Clubs, as well as Wellness and Corporate Fitness Centers. Clients trust us to be the foundation of their business and we are dedicated to providing the best service and support in the industry! 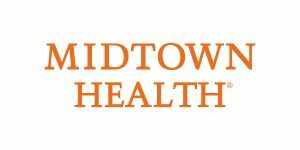 Midtown Health unleashes the momentum for your fitness center to run like a winner. Our expertise in fitness center management, frees health systems to focus on their core business. Our team of professionals have helped create success stories across the country by implementing process improvement, growing revenue, managing expenses, building top-notch teams, enhancing medical integration and developing remarkable member experiences. As a division of TCA Holdings, LLC, founded in 1969, we are the 13th largest health club operator in the U.S. Our clients choose to partner with us because of our strong management team and operational support, as well as our ability to maximize their club’s profit potential. We listen and immerse ourselves in the unique culture, personality and values of your operation. We think like owners, because we are. And the results show in everything we do for you. 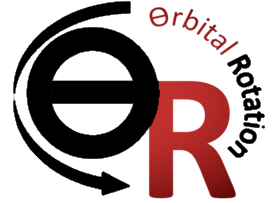 Our mission is to provide technology platforms to support those organizations that deliver health and wellness solutions for their respective populations. The Vector Wellness solution set delivers web-based technology that supports a number of health and wellness venues. Included in these venues are systems in support of corporate health and wellness programs, population health management within healthcare settings, health and wellness coaching to support medical fitness facilities and medical practices. In order to support patient centered health care delivery as required by the Patient Centered Medical Home and Accounting Care Organization models, medical fitness facilities will need to deliver coaching services that support standard protocols of care and can measure outcomes to support the new payment paradigms. The Vector Wellness platform provides care management health and wellness coaching tools, activity tracking, educational content, patient communications, and integration options required by medical fitness facilities to support the deployment for population health management environments. With the recent outbreaks of untreatable infections including MRSA, which is often traced back to the workout facility, Black Iron Strength® took the ancient technology of copper and applied it to free weight equipment. With this patented technology, Black Iron Strength® is the only equipment manufacturer to offer free weight equipment with copper touch points. Copper surfaces by CuVerro® has been shown to kill more than 99.9% of bacteria within two hours of contact. Given that bacteria can survive on surfaces for months, Black Iron Strength® prefers to use CuLEAN® Antimicrobial Copper on their equipment. It is simply the best material for all surfaces as bacteria and other harmful pathogens cannot survive on it. PROVEN to kill 99.9% of bacteria in two hours or less. Hyperwear designs unconventional tools for unconventional training and drives innovation in functional fitness equipment for active aging, wellness programs, rehab & recovery, and professional & collegiate athletes. Our patented line of training tools is designed for safety, using sand & steel shot to create extremely versatile free weights. The softness of the SandBell, SteelBell, SandRope and SoftBell lines makes them perfect for commercial use, causing less damage to floors and less injury to users. Each of our products can be used in many ways, replacing several other traditional fitness tools with one innovative solution. Since 1986, quality fitness centers have relied on MicroFit assessments as an important member service and to promote a higher level of personal training. A MicroFit fitness/wellness assessment allows trainers to easily meet new members, gain their trust, understand their goals, recommend programs, and track their progress. Our fitness assessment software measures over 30 physical fitness characteristics and can be interfaced to the MicroFit FAS-2 testing equipment for computer-controlled measuring of weight, body fat, blood pressure, flexibility, strength and cardiovascular fitness. MicroFit is one of the original sponsors of MFA because we have always been committed to higher standards of healthcare and objective outcomes reporting which is obviously what MFA is all about. Our mission is to provide the Athletic Training World with accessories that further enhance adn augment the muscular efficiencies and resistance provided with a single movement at the training point. We have found that these same concepts apply equally effectively in the deconditioned population as well as the more frail elderly, and those managing chronic illnesses. Movement is energy. As the green fitness company, SportsArtTM harnesses the energy of human movement to make the planet more sustainable — one workout at a time. Our mission is to advance fitness industry standards by being one of the most creative and eco-friendly manufacturers of premium quality fitness equipment.